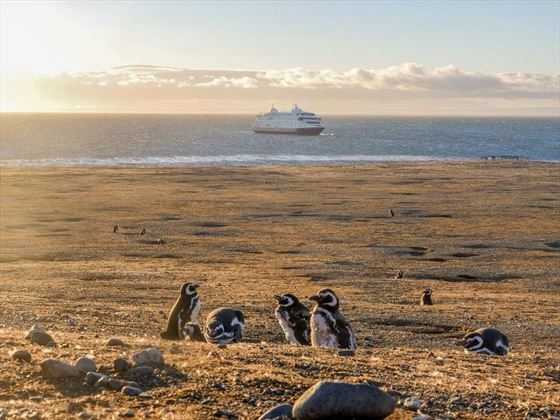 Hiking alongside dramatic glaciers, enjoying scenic Zodiac boat trips through jaw-dropping fjords, and spotting amazing wildlife – this is a truly memorable four-night expedition cruise around the southernmost point of South America. 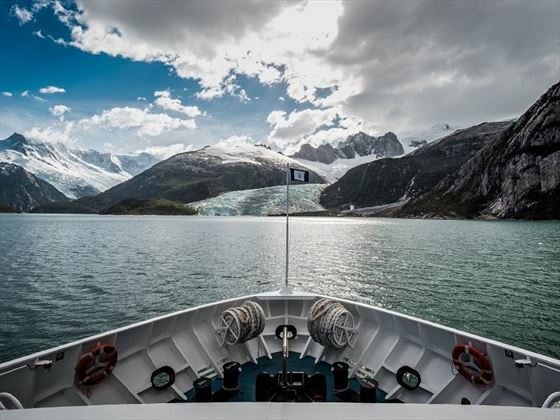 Starting in Ushuaia, Argentina you’ll be exploring soaring glaciers, pristine fjords and remote islands including Wulaia Bay, Garibaldi Glacier and Pía Glacier aboard an expedition ship. 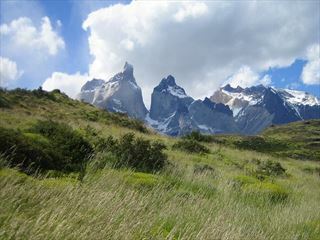 There are plenty of opportunities to hike and enjoy the unique scenery, as well as relishing the luxury amenities on board, and discovering some of Patagonia’s rich aboriginal history. End your voyage in Punta Arenas, Chile (INS). Upon arrival in Ushuaia, you will need to check in at 409 San Martin Avenue between 10am and 5pm. 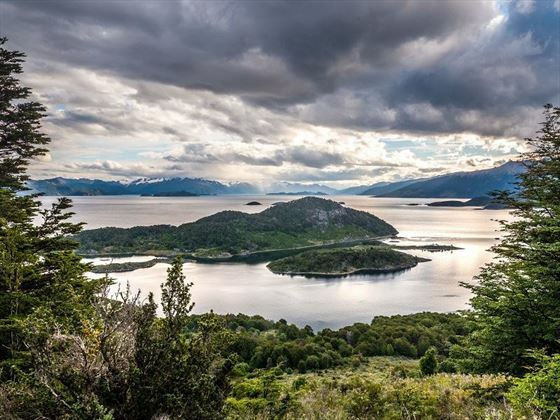 At 6pm, you will board your expedition ship and enjoy welcome drinks with the captain and crew as you set sail through the Beagle Channel and cross over to Chilean waters to the narrow Murray Channel that flows between Navarino and Hoste islands. As evening breaks to dawn, your ship will cross Nassau Bay and enter the secluded archipelago home to the stunning Cape Horn National Park. 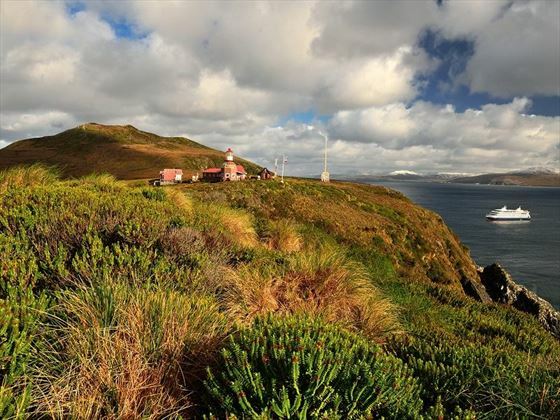 Depending on the weather, you’ll venture to the island that features Cape Horn to learn more about its history. Declared a World Biosphere Reserve by UNESCO in 2005, this rocky promontory was once the only navigation route between the Pacific and Atlantic, and overlooks the amazing Drake Passage. After sailing back across Nassau Bay, you will land at Wulaia Bay, a beautiful tree-shrouded destination home to a rich human history. This was originally the site of the region’s largest Yámana aboriginal settlements, and was once sketched by Captain FitzRoy and described by Charles Darwin back in the 1830’s during a voyage on board the HMS Beagle. Take some time to explore the striking natural beauty on one of three hikes, all varying in difficulty but all offering amazing viewpoints of the enticing forest, before heading to the museum in the old radio station to learn more about the Yámana’s past. Today you’ll discover the western end of Tierra del Fuego, cruising along the dramatic Gabrial Channel, Magdalena Channel and Cockburn Channel. 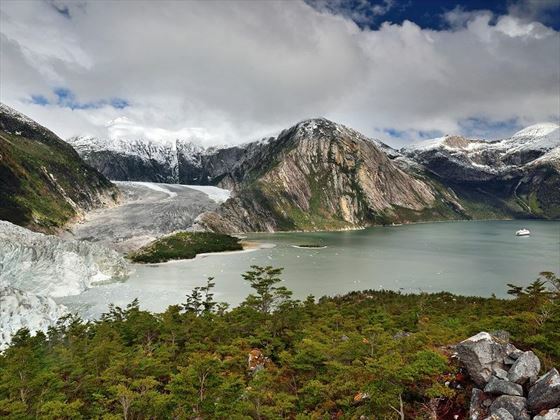 After a scenic cruise around Brecknock Peninsula, you’ll board a Zodiac and dock nearby Pia Glacier, hiking a short way to get a jaw-dropping view of the icy beauty. Alternatively, you could enjoy a longer and trickier walk up a lateral moraine of the old Pia Glacier. 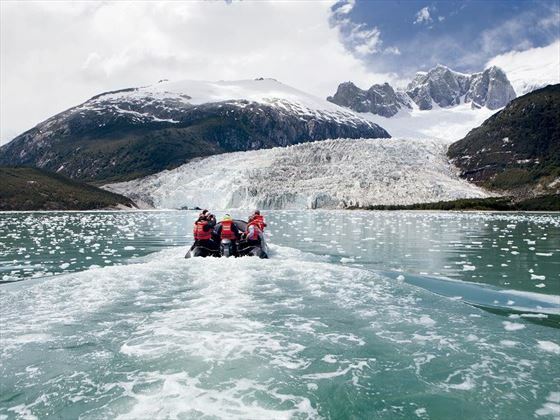 Next, you’ll cruise along the Beagle Channel, stopping at Garibaldi Glacier for a stunning hike through Magellanic forest to a cascading glacial waterfall. The hike is a very tricky one, so won’t be to everyone’s tastes or fitness abilities. Those who choose to stay on the ship will still get a panoramic view of Garibaldi Glacier for the top decks. Your day will start early, sailing through Cockburn Channel to enter the breath-taking Agostini Sound and gain amazing views of the glaciers that descend from the middle of the Darwin Mountain Range. Once there, you’ll dock by a sparkling lagoon for a leisurely walk, stopping in front of the glacier for spectacular views. Next up is a Zodiac trip to Condor Glacier, hopefully spotting majestic Andean Condors along the way. Today marks the end of your trip. 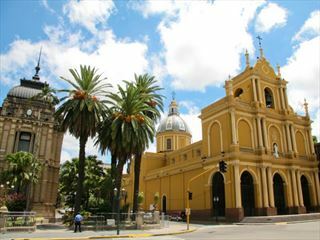 Overnight you’ll pass through the Magdalena Channel and arrive back into the Strait of Magellan. You’ll have a short stop-off at Magdalena Island, where you’ll hike between a gorgeous Magellan penguin colony to reach a charming museum tucked away inside the island’s vintage 1902 lighthouse. Should you be sailing in September or April, the months where the penguins reside elsewhere, you’ll inside enjoy a Zodiac ride to Marta Islands to see the beautiful South American sea lions. 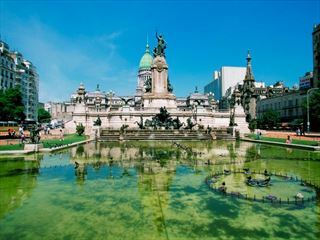 Afterwards, you’ll reach Punta Arenas and disembark the ship for your onward travels.